Fourty years plus on 60s music and still a big attraction! Finding the genuine, authentic, article to perform it is, however, a much bigger problem. Today “look-a-like” bands, so called named groups with none of the original members in their line up are sold to a largely unsuspecting public. Sometimes that public are rightly very disappointed! What a relief then to offer an artist that is absolutely genuine. Someone who was an original founder member, sang on all the hit records, was the actual lead singer on most of the big hits, was entirely responsible for the unique 12 string Guitar Sound. The man is… Mike Pender! 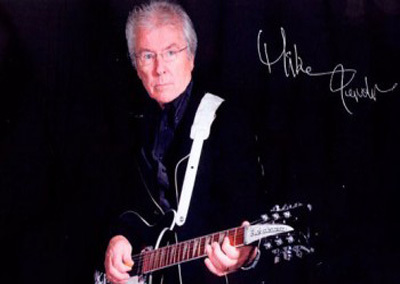 Mike left the Searchers in 1985 to pursue his own career. He then hand-picked the cream of musicians/vocalists to re–create The Sound. Mike Pender’s Searchers is the result. 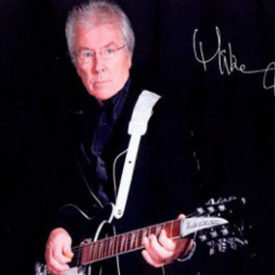 Mike Pender’s Searchers have literally travelled the world performing in Australia, U.S.A., Holland, Germany, Belgium, Sweden, Denmark, The United Arab Emirates as well as the length and breadth of Britain. Mike Pender stays true to his musical roots but is well aware that Mike Pender’s Searchers have to present a show that is also part of the 1990s. Their hugely impressive custom built lighting and sound equipment (the envy of a great many other 60s groups) is ample proof of this.